Well, we all know the battle between Android and iOS, but now there's a new player. Well, technically, this isn't new, but it just isn't as popular as Android or iOS. 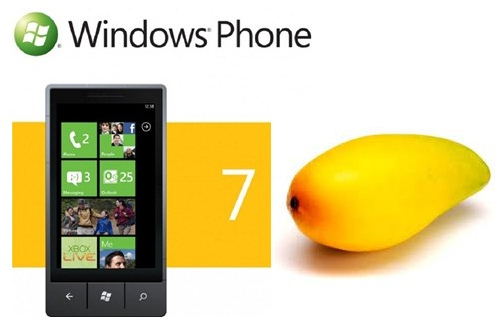 This operating system(OS) is Windows Phone 7.5 Mango. The lead manufacturer for Windows Phones is Nokia, who we know for their "unbreakable" phones. This phone will be the Nokia Lumia 900, set to release in the USA today, for $0 - 99.99! Now, why is the cost of the phone between $0 and $99.99? Well, AT&T is offering customers a $100 off voucher at checkout, if they pre-order this phone. Windows Phones function exclusively on Qualcomm Snapdragon CPUs, based on the Cortex A-9 Design. Similarly, iPhones only function on Apple CPUs (Technically manufactured by Samsung, with a Cortex A-9 design from ARM). However, that is different, as no one else but Apple manufacturers iOS devices, but Microsoft does not produce their own phones. Currently, Microsoft owns about 3% of the mobile market, while Blackberry makes up about 8%. They hope to capture market share by taking users from Blackberry as well as users who currently are using phones that are powered by Nokia's Symbian OS. This will be released April 10th, 2012 (for pre-order) in Canada, by Rogers Wireless. Photos property of Microsoft Corp.